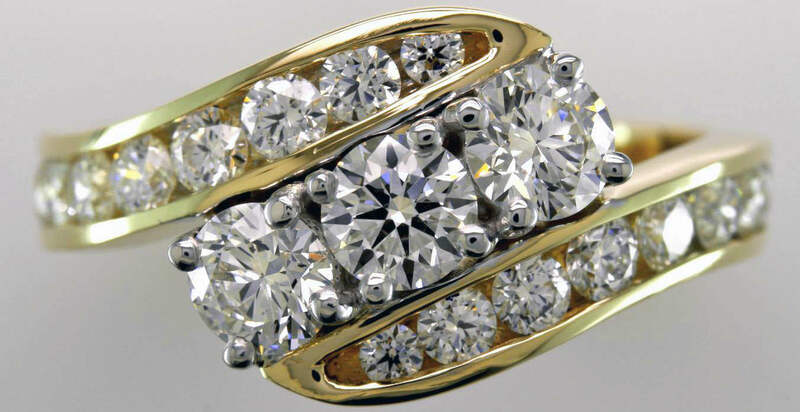 When you walk into a jewelry store looking for a necklace or diamond engagement ring, what are your main concerns? You are probably thinking about the quality of the diamond: its cut and carat. But are you thinking about ethics? Unfortunately, some diamonds are mined in war zones and sold to finance war efforts. This is most common in the context of Africa, though there are other areas that have had problems with conflict diamonds. Like Russia, India, and Vietnam. Sadly these are the regions which produce over two-thirds of the world’s diamonds to begin with. 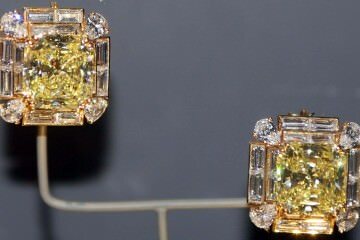 What is wrong with buying conflict diamonds? When you do so, you are indirectly (or directly) financing insurgents. You have no idea what the complexities of the situation are, who you are supporting, or what kinds of activities they are engaged in. But you can bet that in most cases they involve violence against innocent victims. You can also bet that the diamonds in question were mined through inhumane practices (there isn’t exactly a miner’s union in conflict areas; warlords call the shots). Oftentimes there is zero regard to environmental conditions as well. These diamonds come from mines that ruin human lives and destroy the local environment. 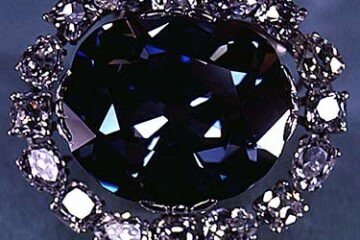 Furthermore, there can be additional issues down the supply chain, since many of these diamonds are sold on the black market. While you cannot be 100% sure in most cases that a diamond you are thinking of buying is not a blood diamond, you can at least do your best to find out. Here is a list of questions to ask the retailer when you are thinking of buying a diamond, and want to make sure that you are not financing insurgents. 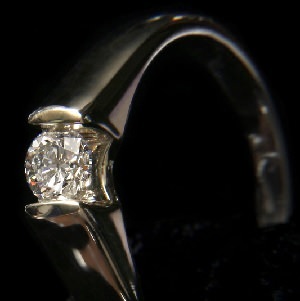 Ask if the retailer is aware of the ethical issues faced in the diamond industry. If the retailer acknowledges that there are serious ethical problems in the industry, you can proceed. If the retailer doesn’t know what you are talking about or pretends not to, or tells you not to worry about it, then you should move on. The retailer is almost certainly selling conflict diamonds. Ask for the retailer’s sourcing policies and ask how they select suppliers. If there is no official statement on sourcing policies, that is a bad sign. If it is available online or printed out, that is a good sign. If the retailer says they choose diamonds with regards to pricing and quality and without consideration to their origin, that is another red flag. If ethical considerations are high on their list when selecting suppliers, that is a hopeful indicator. If it is clear the retailer has some kind of ethical sourcing standards, inquire more deeply into those standards. If the retailer mentions the Kimberley Process, that is a good thing. If that is all they mention though, it points toward complacency. The retailer should give you a detailed description of all types of violence which are tied to diamonds, and not just war. They should also have standards when it comes to labor conditions (such as child labor and slave labor) as well as environmental concerns. Ask which countries the diamonds come from. Some countries are more likely to sell blood diamonds than others. Beware of Zimbabwe, Angola, and the Ivory Coast. Namibia, Botswana, or Canada are better sources. Also ask for the specific names of the mines where the stones come from. If the retailer cannot name the mines, then it is time to move on. If you are given specific names of mines, there should be information available on the conditions at those mines. Ask the retailer to either provide you more information directly on the conditions, or point you toward a resource which will. If you cannot find any information anywhere, it is a good idea to move on and shop somewhere else. If the information all checks out, you just have one more question to ask. Ask whether the retailer keeps track of the entire manufacturing process. While you might think that the only ethical considerations surrounding conflict diamonds come down to mining, it is important to remember that there are other steps involved in the finishing of a diamond. The gemstone must be cut and polished, set, and then sent to the retailer’s store, and there are different suppliers, craftsmen, and traders involved with this entire process. 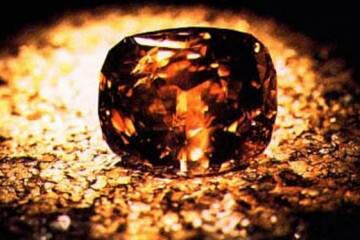 Conflict and ethical issues can still surround diamonds further down the supply chain, after the diamonds are mined. If the retailer knows the supply chain from top to bottom, then you probably have found a good seller who is not dealing in conflict diamonds. The final red flag is if the retailer knows nothing about the supply chain, and can provide you with no information about where the diamonds go between the mine and the retail store. Finally, assuming that everything has checked out to this point, you can request that the retailer provide you with a written guarantee outlining the store’s ethical standards. If you are not given a written guarantee, you should walk away. By this point, though, if everything else seems to be in order, you will almost certainly be handed a written guarantee. This should be your last step in the ethical buying process. A lot of purchasers don’t think twice about where their diamonds come from, and will buy any pretty gemstone with the kind of quality they are looking for. But this kind of complacency is exactly what allows immoral dictators and administrators around the world to keep their power over others. A shiny stone is not worth the price of human lives. If you want to be sure that you are buying conflict-free diamonds, you now know exactly what questions to ask when you are shopping. There are plenty of beautiful, high quality, humane diamonds available. 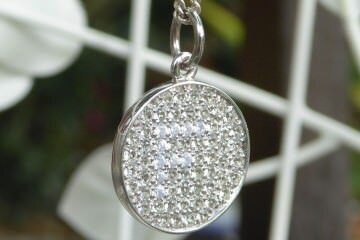 And once you find a reliable and moral jewelry supplier, you can refer others there to shop.